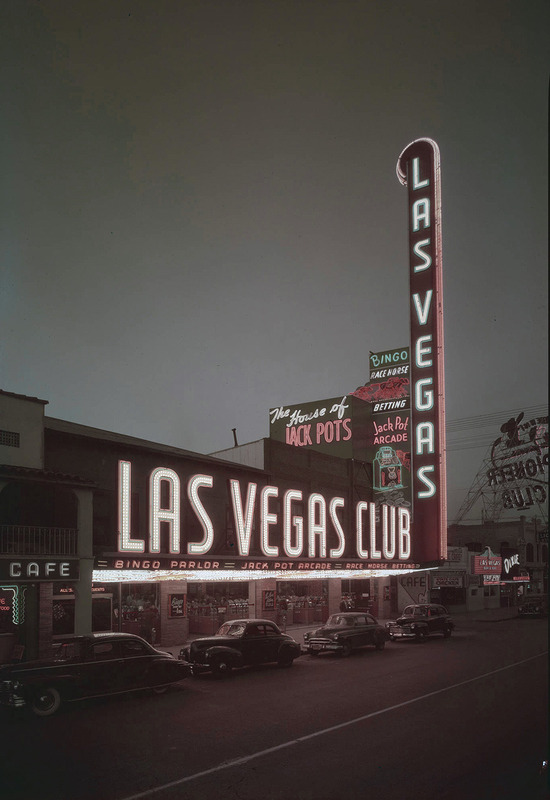 Originally located on the other side of Fremont Street, the Las Vegas Club topped its record of having the first neon sign on a Las Vegas casino in 1931 by building the tallest one when this location was completed and opened in the summer of 1949. These days, there is nothing left of this building that is recognizable…and it will change yet again as it is currently closed for renovations. Posted in 1940s, Retro/Vintage, signTagged Americana, architecture, casino, closed, design, gambling, neon, photographyBookmark the permalink.